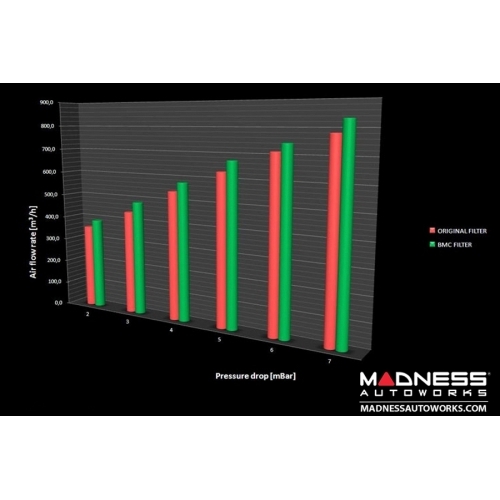 Want to retain your factory air filter housing and improve performance? This is the Deluxe Factory Air Filter Housing Upgrade Kit by MADNESS. 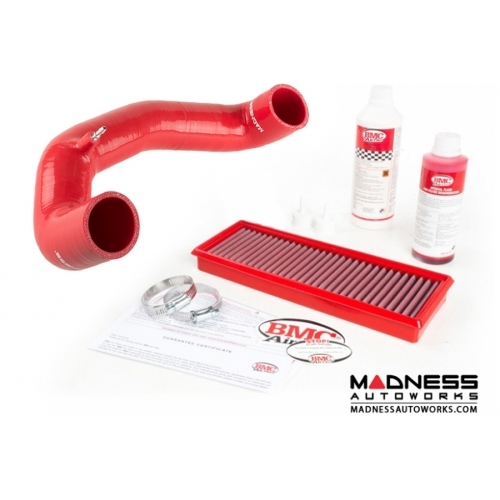 This kit comes with the MADNESS Silicone Intake Kit, Stainless Steel Clamps, a Top Quality, High Performance, Lifetime Air Filter from BMC. 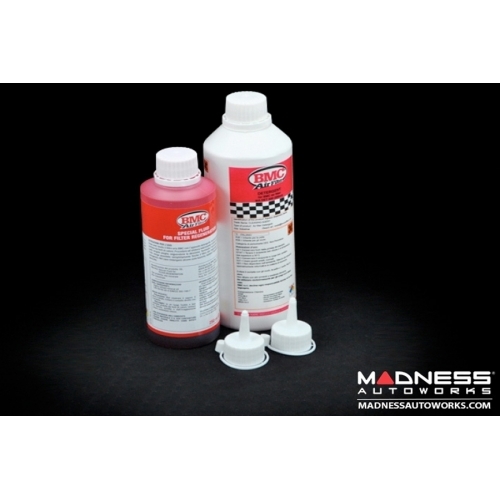 Please check out our other listings for a similar Kits featuring High Performance Lifetime Filter from K&N and our basic kit that comes without a filter. This kit replaces the restrictive, thin plastic factory part with a high flow, high quality, precision molded part that not only looks great under the hood, but provides your ABARTH/ 500T with improved performance. This is not only the highest quality kit available, but also the best value since it comes with a Top of the Line BMC Filter. 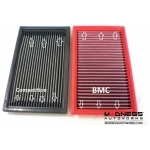 The BMC Filter that is included in this kit is the very best filter available. It is superior to all other air filters on the market! Be sure to check out all the close up detailed picture of this item. The quality is top notch!